"I'm a man of passion!" - Inigo, on critical hit/skill activation. 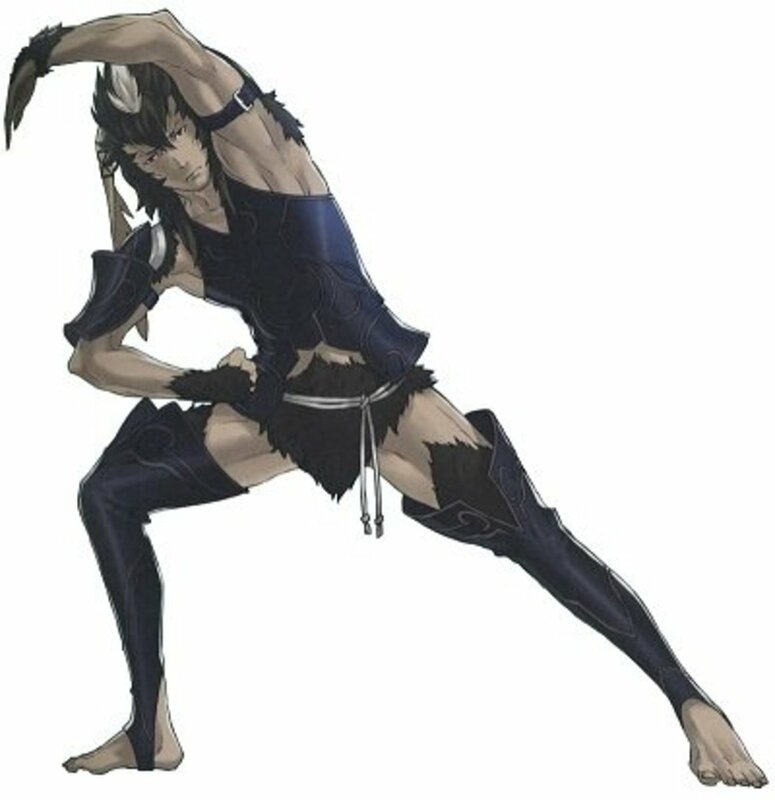 This hub is going to talk about Inigo, the first of two second generation Mercenaries in Fire Emblem: Awakening. 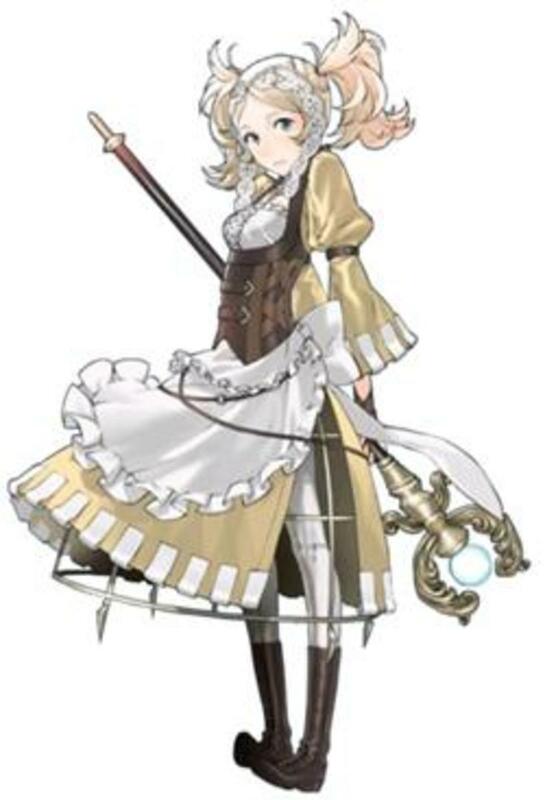 Inigo is the child of Olivia, the Dancer that you recruit in Chapter 11. If you play the Paralogue chapters in order, then Inigo will be the second child unit you recruit after Lucina. During the course of this hub, I will give my thoughts on details such as the best father for Inigo and what skills Inigo would most benefit from. Inigo is a Mercenary protecting a nearby village from bandit attacks. His main character defining traits are his desire to dance, his painful shyness under most circumstances, and the fact that he flirts with every woman he meets which often ends poorly for him. Curiously, all three of those aforementioned traits are inherited directly from his mother (you find out why Inigo is such a womanizer via their support conversations). Where can I get Inigo? Inigo can be found in Paralogue 6, near the rest of your army. He can be recruited by Chrom or Olivia. Why should I use Inigo? Well, if we go solely based on the criteria of overall stat growths, Inigo is slightly better than Owain. For starters, Inigo's mother doesn't have a focus on Magic. Secondly, Inigo gets ready access to both Mercenary and Myrmidon, no matter his father. 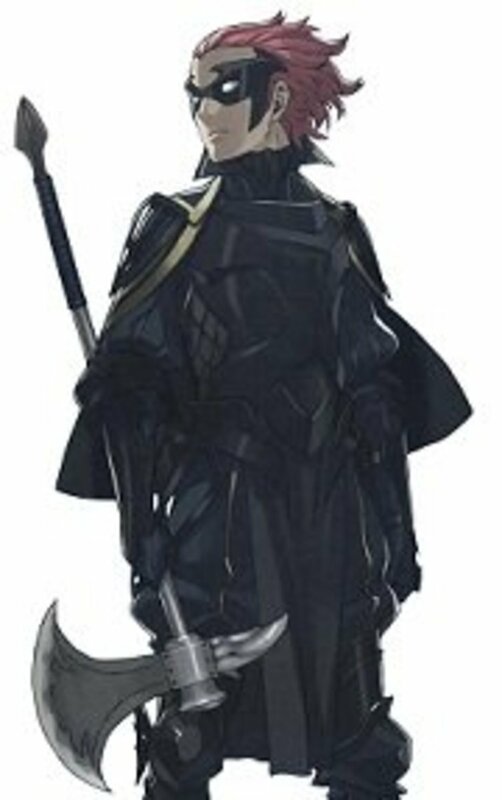 Thirdly, if you benched Gregor during your playthrough of the main story, Inigo can serve as your army's resident Mercenary/Hero. 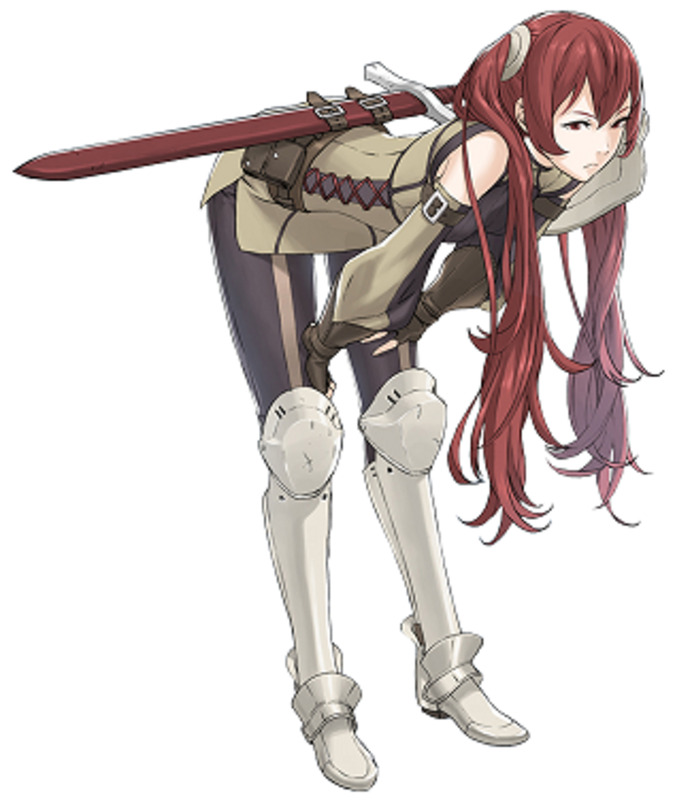 Who is the better Mercenary child unit, Inigo or Severa? Well, for the sake of argument, let's assume a Gregor parent. Both child units are in their base class of Mercenary. Severa has +5% Strength growth and +10% Defense growth on Inigo, but Inigo has +15% Luck growth and +7% Speed growth on Severa. I tend to prefer Defense over Speed until both stats reach their caps, at which point the balance shifts to those who have the most Speed since they can double a potentially larger amount of enemies (and subsequently be doubled by fewer enemies in turn). Interestingly, it is Severa who has the higher Speed cap in this example (by a mere 1, mind you), so Severa would be slightly better than Inigo. However, you could always just use both (and maybe have them marry each other if you're feeling feisty, as well). Who is the best father for Inigo? Ah, the quintessential question. Well, I'm going to try to narrow down the possible options for you. 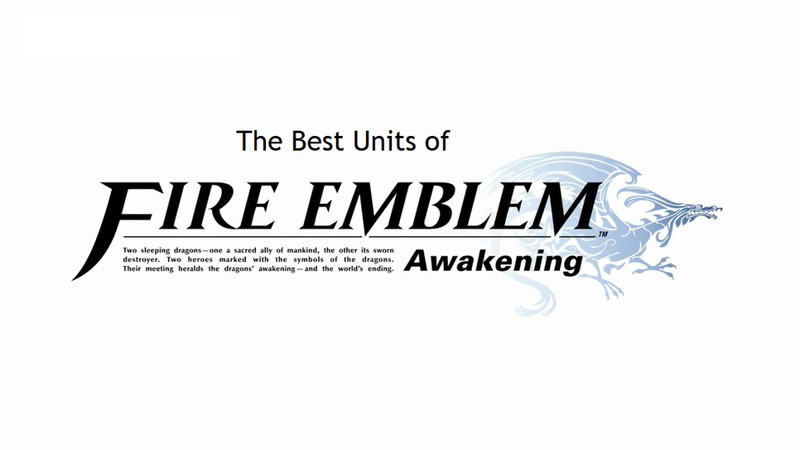 Units whose names are bolded are recommended for reasons listed in their bullet, and will be represented in the table in the next section listing Inigo's growths as based on potential fathers. My Unit - My Unit would work with most any child unit, but, if we're aiming for optimization, then you should not pair up your MU with Olivia. Chrom - As mentioned in the Olivia hub, Olivia is the last possible wife for Chrom. Should you get them married together, Chrom can pass down Rightful King to Inigo, even if he does not yet possess the skill. This alone makes Chrom a good choice of parent. Frederick - Amusingly, Frederick passes down better growths and class options to Inigo than Chrom does. Still, I can't recommend him in good faith, due to the additional effort he requires to get up to speed as compared to most other parent units. 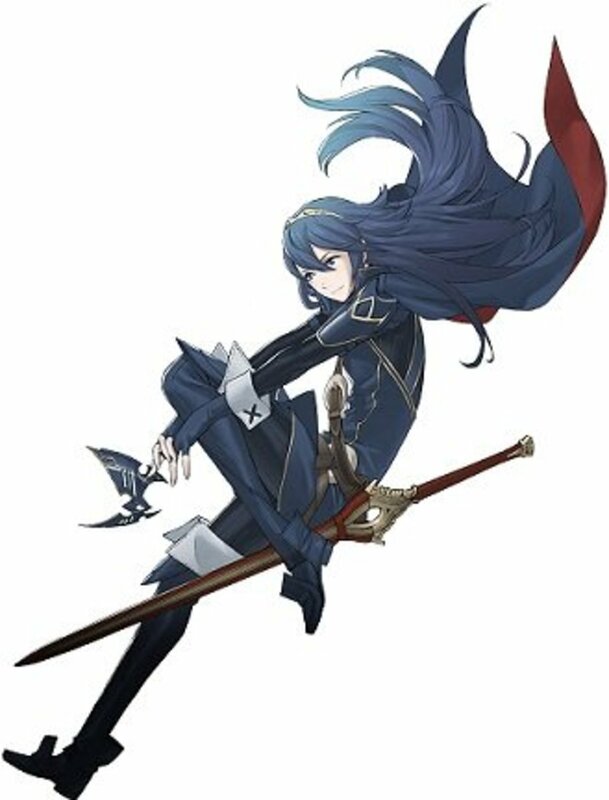 Virion - Passes down Mage, Archer and Wyvern Rider to Inigo, giving him a slew of class options and the possibility of grabbing Lifetaker from Dark Knight in the long run. An excellent choice for Inigo's parent. Stahl - Passes down Cavalier and Archer to Inigo, as well as more balanced stat growths for the Mercenary class than Virion's spread. No Lifetaker from this parent, but it is still a good choice. 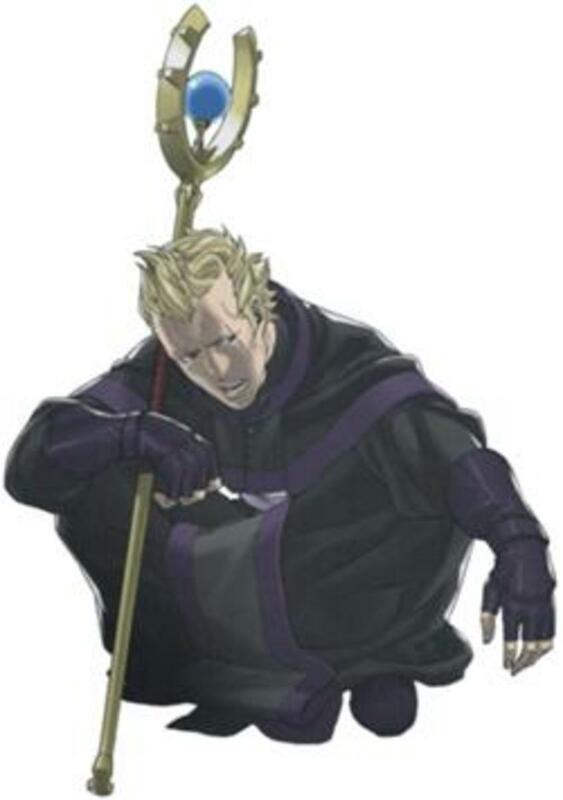 Vaike - Gives Thief and, that's about it. The stat growths are comparable to Stahl's but the bonus class options are largely absent. You have class option switches to thank for that, because Olivia passes down her Pegasus Knight class as Barbarian to Inigo. Have Vaike father a child that doesn't naturally get Barbarian. Kellam - Many class options for the Inigo sired by Kellam (Kellam passes Thief, Priest, Knight and Mage) combine with the heavy defensive stat growths provided by Kellam to make a child unit that's a force to be reckoned with. One of the best parent options for Inigo. Lon'qu - Could work, but Lon'qu is better off being the father of some other child unit (such as Owain). Gregor - Gregor gives NO bonus class options to Inigo! Seriously, go check out Serenes Forest if you don't believe me. For that alone, I don't recommend that Gregor be Inigo's father. He's better served as a parent to a child that can benefit from the Myrmidon and Mercenary bonus classes. Ricken, Libra, Henry - I wouldn't consider them as potential fathers, since they're tailor-made to favor child units that use Magic, and Inigo isn't one of them. Gaius, Donnel - They can pass Barbarian to male child units, which Inigo already has. In any case, they are better served passing down Pegasus Knight to female child units who would otherwise not get it. Summary: In my personal opinion, the best parents for Inigo are Chrom (Rightful King) and Kellam (crazy amount of bonus class options), followed closely by Stahl and Virion. Note: Keep in mind that a child unit's base stats are generated when the Paralogue chapter is started. So, you'll want to train Olivia and her husband up (and place appropriate skills to pass on to Inigo in the last active slot of each parent as well) before you enter Inigo's chapter. Should I use a Second Seal on Inigo? Well, you'll want Olivia to pass on Galeforce to Inigo, meaning that she can't pass any other relevant skills down to Inigo. Thus, it would be beneficial to class change Inigo to Myrmidon at some point to get Vantage and eventually Astra from Swordmaster. Whether you leave him as a Swordmaster or class change him back to Hero at that point depends on whether you want access to Axes or not. Axe users in Chrom's army seem to be at a premium for most of the game, but once you start getting the child units (assuming you're not waiting until post game to do so), this should be less of a problem, so it's up to you. What skills should I use on Inigo? Galeforce - Goes without saying. Have Olivia pass this down! Armsthrift - Inigo starts with it, and it is one of the better base class skills in the game. More durable weapons are never a bad thing. Vantage - Inigo has access to Myrmidon and Vantage will save his life at least once. Having Vantage can be the difference between living or dying. Astra - If you class change to Myrmidon, you might as well go all the way. Lifetaker (if Inigo has Mage as a class option) - Class change to Dark Knight and grab what is probably one of the best skills in the game. Granted, it isn't so essential on Inigo since he can grab Sol instead and Vantage can only trigger if the unit is at half HP or below anyway. Sol (if Inigo does not have Mage as a class option) - Inigo is going to be a Hero at some point, so might as well get this skill. Free HP on attack is always a good thing. Do you use Inigo on your team? 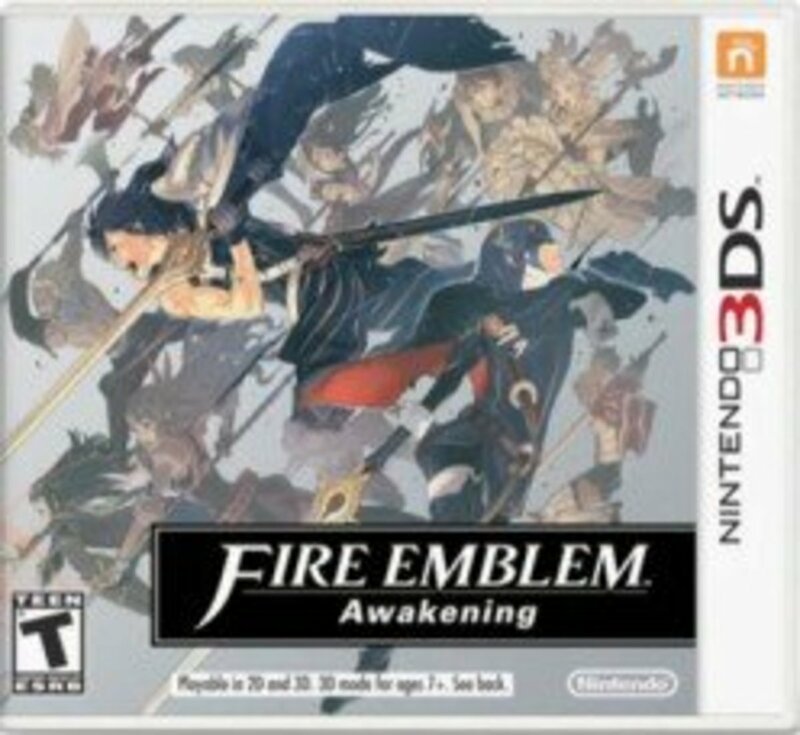 In conclusion, Inigo is the first of two second generation Mercenaries that you can recruit in Fire Emblem: Awakening. Unlike Owain, Inigo's growths for his base class are better supported by his mother, which makes him a better overall unit than the hyperactive Myrmidon. 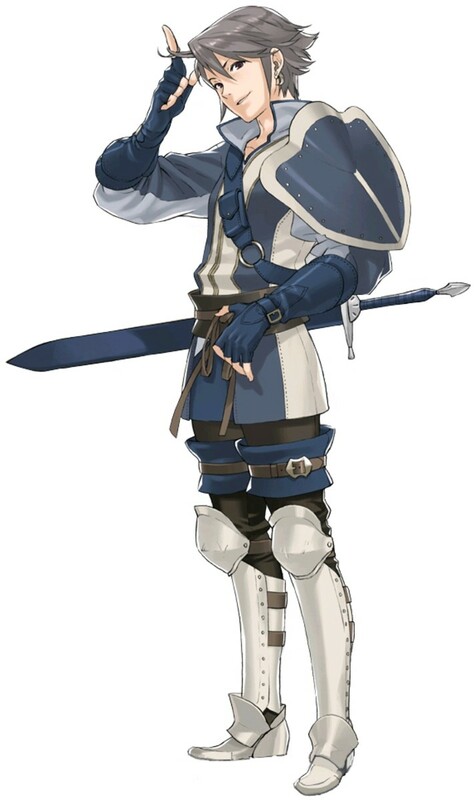 Of course, like every other child unit, Inigo should surpass Gregor (the first generation Mercenary) given adequate training of his parents (and making sure you pass down Galeforce as well). Feel free to talk about Inigo and things related to him in the comments section. Also, don't hesitate to ask questions if something in this hub is unclear! I myself used Inigo as a sorcerer with Libra as a parent, and it worked wonders. I got lucky and had an Aversa's Night, so I just trained him up to max luck, forged Aversa's Night, and destroyed everything, even when his Mag wasn't capped. He's bulky enough to take a few hits, and Luck +4 from Olivia (which debatably worked out better than Galeforce) and a +3 luck boost from Bow Knight Severa gives him a 100% chance of Aversa's Night staying at 10 uses, and there's only a 2% chance of a use being wasted if he's supporting Severa. Worked out better for me than Hero would have, I reckon. I used Inigo in my playthrough, but I used him as assassin. As assassin, he becomes amazing. I got him to the point between Rightful king and his skill stat, all weapons he used never took damage. Not to mention Lethality becomes really good with Rightful King. Layni,what did you pass on to inigo from libra? Guys, I had Libra marry Olivia, and Inigo is my most powerful character, by far. And, trust me, my people are STRONG. He's so good this way-Ha no one else done it? I had Gaius marry Olivia after I had him reclassed to a mymirdon. As strange as this may sound, part of it was just what worked after several other marriages, but it worked out very well. Inigo got Astra from Gaius being a swordmaster and I had a unit with locktouch in my army besides Anna who was somewhat more durable than a thief. I reclassed Inigo to a barbarian to make him into a berserker. While this kept his defenses low because of Gaius' and Olivia's low defense, his strength go into the 40's very quickly and maxed out before lvl 20 at 52 I think. Also, his HP grew exponentially. A little shaky, but quick and strong as can be. This worked for me, so I thought I'd share. Not to mention I love Henry's endings when married. For example, with Miriel: Henry settled down and turned out to be a surprisingly good father. His son grew up around his parents' extensive libaries, dooming him to a life as a bookworm. I don't really get why you're against Henry for any kid who isn't a mage. Sure, he's usually a mage, but according to his base growths he has equal str and mag growths, meaning that he technically should work well with most children characters. In fact, for those people who are interested in maxing characters, having balance like that is a great asset, since it won't take as much effort to do so because of the balanced growths. If the fact that his Magic isn't going to help the kid stops anyone, he can easily reclass to Barbarian and raise his attack in that class before getting whatever child. But yeah, point is Henry's a pretty versatile father and shouldn't be limited to just the magic using children. ok. thanks for your quick reply and for all your help! I actually ended up benching Inigo later on in my playthrough. did you really train olivia that much so inigo could get galeforce? thanks for all your help! and also for your quick answer! Depends on who has the higher stats I suppose. Keep in mind that Paladins and Great Knights move faster than Mercenaries, but they are weak against weapons that deal effective damage to Beasts. It's a tradeoff, all things considered. i took out sully so severa could fit in my team do you think maybe i should take out stahl so inigo can fit too? I disagree with Henry being a poor parent for Inigo, personally. If you pass down vengeance, and eventually reclass Inigo to gain Vantage, and, if you like, forge a Killing Edge for greater Crit, then Inigo is outstanding once he has lost half his hit points. But, that is how I use him, and that is just my opinion. Good articles by the way.